One of the main and most difficult tasks of managers and chief executive officers of companies today, is to motivate their personnel. Motivation in the workplace is an important part of every company’s success. It is very much similar to what parents and teachers do on a regular basis – motivating kids to study, teach them to develop and create their health and behavioral habits. Motivation of employees is simply inducing desire to work in people who are an important part of a company. This can be achieved in the the following way. For you, as a leader or a manager, it is important to learn and understand what it is that motivates each of your employee, since they are all different and have different desires, aims and priorities. The most important thing when trying to motivate your employees is to think about their needs and not yours. Make them feel like their are truly a part of the company; a valuable addition to your business. This is very much true and to motivate your workers in all departments, it is crucial to show them exactly how much you appreciate their work and how important they are for the overall success of the company. One of the greatest desires of a man is to feel important. Every single person, a child or an adult, needs to feel valuable; that his/hers work is highly appreciated. A simple “good job” is not sufficient enough…make them feel important and show them that you trust them and completely rely on them. Bring diversity in the work you do and give people an opportunity to grow. As mentioned above, motivation of employees is a key in establishing and maintaining a successful company. 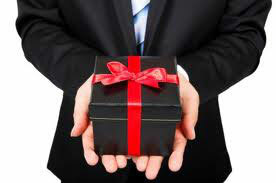 Except the traditional salary increase, it is good to think of something other ways, like, for example, employee gifts. It is good to award their good work after completed significant projects, or to give them staff gifts for Christmas, Easter, their birthday etc. Your employees will appreciate a gesture like this and will work even harder. Besides all this, you have to recognize how valuable your employees are for the business. The key is to build mutual trust and a good relationship, which is not only good for your employees but is also good for your business.